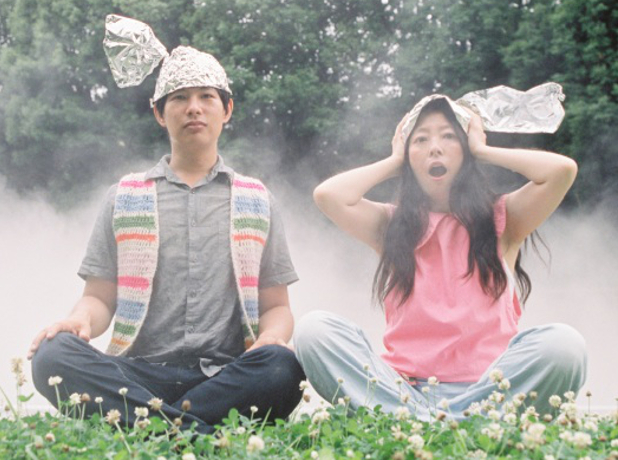 Savage Imagination was recorded at home by Takako and Dustin: “We both hit the record button for each other.” Dustin was introduced to the world as a member of Ponytail, and has spent the past several years making incredibly deep and complex albums of looped solo electric guitar for Thrill Jockey. Takako Minekawa first rose to international prominence as a Shibuya-kei singer in the mid-90s with the song “Fantastic Cat” and her albums Roomic Cube and Cloudy Cloud Calculator. She has collaborated with Ryuichi Sakamoto, Cornelius, Buffalo Daughter, Dymaxion, and others.